Grand Master Robert N. Wheatley has been studying TaeKwon-Do for almost 40 years. He was born and raised in Wicklow, Ireland. While in England for a short period of his youth he became interested in Kenpo, Boxing and Ju-Jitsu but did not begin any formal martial arts training until 1970 when he returned to Ireland. He began his studies of General Choi Hong Hi’s Taekwon-Do under Grand Master Rhee Ki Ha. Just three years later he became an instructor for the Republic of Ireland Taekwon-Do Association and in 1975, he took first place in patterns and second place in power breaking at the Irish National Championships. Almost immediately upon Grand Master Wheatley’s involvement with Taekwon-Do he became a well-known and respected martial artist. Again, in 1977 at the European Championships he won numerous medals including first place in power breaking and third place in patterns. In 1983, Grand Master Wheatley and his family moved to the United States. He also became a 4th degree Black Belt and in 1984 was appointed State Director of California and soon after Regional Director for the West Coast. During this year he was also featured in the new 15 volume encyclopedia of TaeKwon-Do. 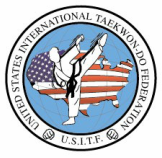 Then in 1986 he was featured in “Who’s Who of Martial Arts.” In 1987, he flew to Chicago to be the first to sign the official Constitution of the USTF. In Chicago, he was also appointed Ambassador to Mexico by General Choi. Grand Master Wheatley qualified as an International Umpire/Referee in 1989. In that same year he was inducted into the Karate Hall of Fame; he is the only Irishman and first European to receive this title. Other inductees include Bill Wallace, Chuck Norris, Bong So Han and Van Dam. The next year Grand Master Wheatley became Vice President of the USTF and put together a one week World Camp for the ITF in New Zealand. Later that year he tested for sixth degree black belt and was also awarded the overall high test score out of all candidates at the black belt test. Grand Master Wheatley’s was given several honors throughout the nineties including the award of Outstanding Instructor by General Choi Hong Hi, his 1998 promotion to seventh degree master instructor, his inclusion in the “Legacy CD Rom video tapes,” and his appointment as official power development and breaking instructor for the United States. 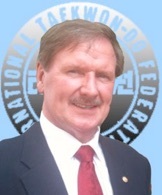 In 2002, Grand Master Wheatley became the President of the United Stations International Taekwon-Do Federation. Also that year, he attended the last Master’s Course held by General Choi Hong Hi in Vienna Austria. General Choi passed away shortly thereafter. He still serves as President of the USITF and chair of the promotions board for the ITF. On July 29, 2016 Grand Master Wheatley was promoted by the President Choi Jung Hwa of the International Taekwon-Do Federation and the son of the founder. Outside of Taekwon-Do Grand Master Wheatley is a dedicated father, a pilot, a poet and musician.